If you have any questions or want to enquire about dates, use our form to contact Sarah Alexiou or see their website for more information. This listed townhouse is a cosseting place to escape to. 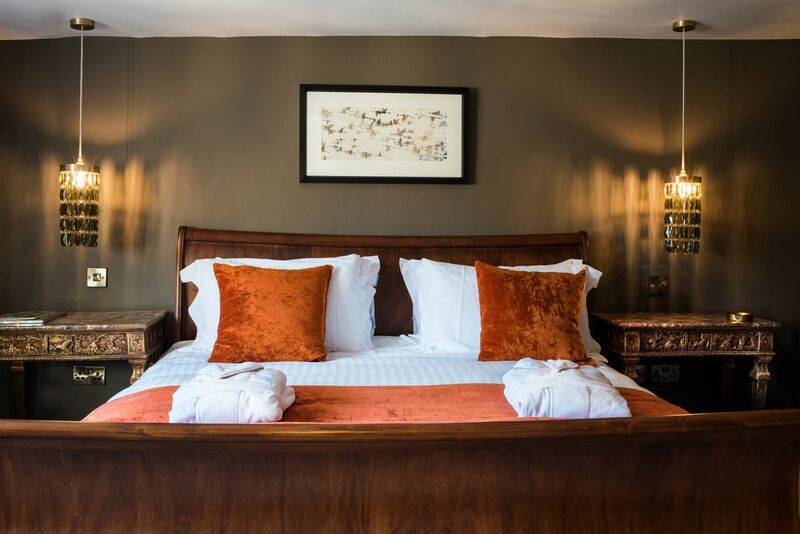 Sarah and her team make sure you have everything from slippers, robes and swish beds and baths to a complimentary drink with your evening meal. The Jeremy Houghton artwork displayed throughout is for sale too. Breakfast is a convivial big-table affair with local jams and honey, farmers’ market produce, smoked salmon, croissants and more. If you need to head off early, a ‘breakfast to go’ can be rustled up for you. Find wonderfully buttery biscuits and slices of rich fruit cake (from Huffkins Bakery) under glass domes in your room; ‘flowers and fizz’ too if you have a celebration in mind; and you can book dinner downstairs in Michael’s, the family-owned Mediterranean restaurant. Sit out in the courtyard in summer – made pretty with flowers on tables, climbing roses, fairy lights and lanterns. Minimum stay: 2 nights at weekends. Dinner from £15 per person. Packed lunches available. Wonderful warm welcome from Sarah, mouth watering breakfasts. Tasty dinners from Michael's Restaurant below. Stay in her wonderfully well thought out, beautifully presented rooms that are sound proofed! 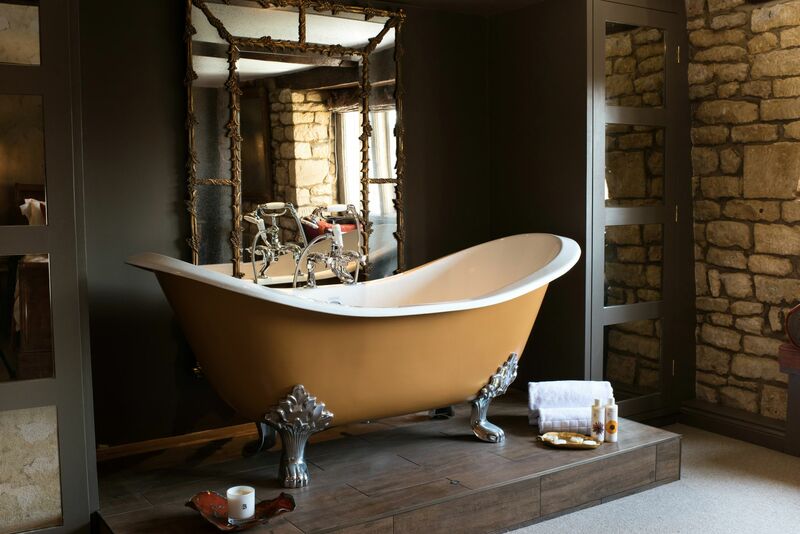 Luxury fabrics and hand finished soft furnishings and super comfy beds, local complimentary treats in the room and attention to detail to everything and all in the middle of the pretty honey coloured arts and craft town of Chipping Campden. I love that fact Sarah has teamed up with Jeremy Houghton (Artist) - showing his wonderful work on her walls. Step out of the doorway onto the High Street. There are four food festivals a year in Chipping Campden along with a music and literacy festival, pop up markets and antique fairs, cafes and original shops. The Cotswold Way starts here too. Further afield, there’s opera at Longborough (8 miles), horse racing at Cheltenham (24 miles), theatre in Stratford (20 minutes). Book a ticket for Gifford’s Circus as it moves around the Cotswolds; choose from plenty of National Trust houses and gardens for a day out. Moreton-in-Marsh is 15 minutes' drive and Broadway under 10. Our charming small wool-merchants town has an abundance of eclectic, independent shops & boutiques that rub shoulders with flagship stores. Depending on when you visit, you might find thriving events in the Market Hall or the regular Friday country market. Hikers can find challenging paths like the 102km Cotswold Way which commences its journey literally outside the front door. While those wanting a gentler ramble, can download one of the many free maps and head off to make their own discoveries. 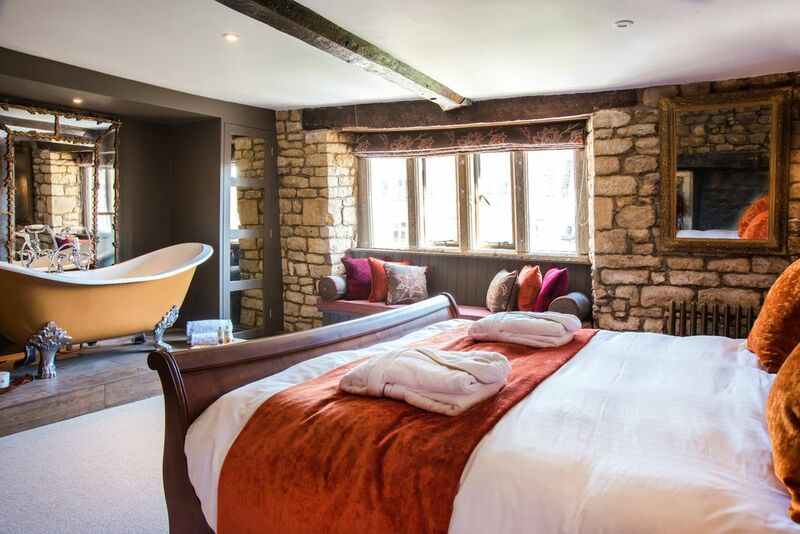 The area is a gardener's paradise with Hidcote Gardens, Kiftsgate Garden, Batsford Arboretum, Sezincote House, Bourton House Garden, and the lavender fields at Snowshill, all within a 10 minute drive. For a wonderful insight into rural life, time your stay to visit The Moreton Show traditionally held the first weekend of September. Animal lovers can enjoy a great day at Cotswold Wildlife Park, or experience Cotswold Falconry Centre at nearby Batsford. Chipping Campden is a hub for the arts. In May, The Literature Festival presents a packed programme of talks, and music is celebrated through the Music Festival. In August Longborough Festival Opera stages brilliantly ambitious productions. For those seeking ultimate relaxation, the spa at Dormy House will not disappoint. Foodies will love nearby organic food emporium Daylesford, and for something completely different, Chipping Campden offers the world famous Robert Dover's Olimpick Games. Cypriot chef Michael left Cyprus, where he trained at a French culinary school, in 1974. He started Michael's Mediterranean Restaurant in 1986. Sarah studied fine art and illustration, worked in London on design for Universal Pictures and undertook miniature private portrait commissions. Michael takes charge of the restaurant side of the business and Sarah the B&B. She was awarded ‘Most Beautifully Presented' property category at the eviivo Awards in November 2018.